The new owner of Homebase will unveil plans to close about a quarter of its stores next week, threatening more than 1,000 jobs. “Sky news reported: 'The number of stores to be axed was still being finalised on Wednesday, with a range of 50 to 80 shops thought to include 18 which have already been closed in recent months. 'If it is at the top end of that range, the closure programme will represent almost one third of Homebase's estate. 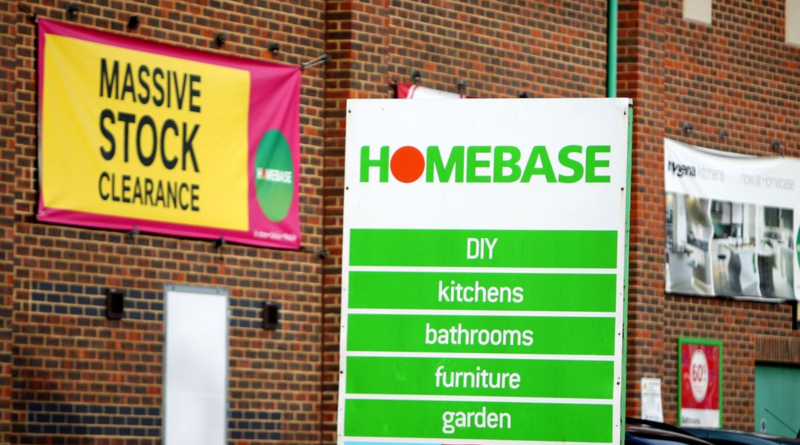 'The precise number of jobs that will be lost was also unclear, with analysts speculating that it was likely to be between 1,000 and 1,500, roughly 10% of Homebase's 11,000-strong workforce.